Dr. Donald C. DeLisi Jr. is a Board Certified Oral & Maxillofacial Surgeon. His wealth of surgical experience includes advanced specialty training in New York City, as well as serving his country in a combat zone during Operation Iraqi Freedom. 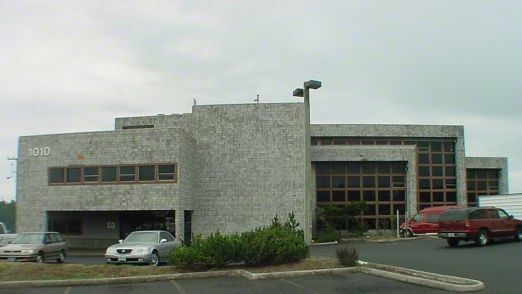 Dr. DeLisi proudly held the distinguished position of Department Head at the Naval Hospital in Bremerton,Washington. From 2005-2008 he served as the only Oral and Maxillofacial Surgeon for all of the Active Duty US Navy, Marine, and Dependants in the Pacific Northwest. He has lectured on all topics of Oral and Maxillofacial Surgery and trained and mentored residents. Dr. DeLisi is considered an expert in Oral & Maxillofacial Trauma, Anesthesia, Bone Grafting, and Dental Implants as well as having experience with non-surgical facial treatments such as botox and Dermal Fillers. He believes in Compassionate, Dedicated Care. Dr. DeLisi believes in offering only the finest, cutting edge care to his patients. He is the only surgical specialist in Central Oregon and on the Oregon Coast to offer the most advanced technology in X-ray imaging. His offices utilize Cone Beam CT Scanners which offer superior diagnostic capability to traditional panoramic xray machines. Their ability to detect pathology such as cancer and bone deficiencies elevates the standard of care in areas such as implant placement, cancer screening, and bone grafting. Part of our commitment to serving our patients includes providing information that helps them to make more informed decisions about their Oral, Maxillofacial and Skin Care needs. This website is a resource that will educate you on the benefits of all of our services and products such as Obagi, Botox, Juvederm and Latisse. We genuinely hope this site is helpful to you in learning more about our practice, surgical conditions and treatments, dental recommendations, and more. Turn Right on Reed Market Rd. Turn left on Reed Market Rd. Mt. Bachelor. Turn Right on Village Office Ct.
We're the last building on the left, Bottom Floor. Bend Oral Surgeon, Dr. Donald Delisi is a professional dedicated to Excellence in General, Family, & Oral Dentistry such as Exams, Cleanings and Prevention, Dental Implants & many other dental procedures. Please come and visit Bend Oral Surgeon, Dr. Donald Delisi.